Top contributor Braybraywoowoo ventured from his native British Columbia over the border and down a state to Oregon. Using a combination of drone and ground camera footage, he created this memorable video of his road trip. 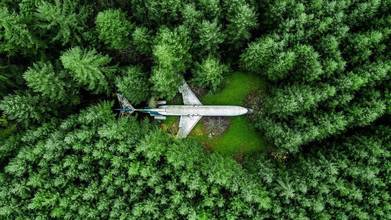 In addition to some beautiful shots of the state's rock coastline, dense forests, and beautiful mountains, he was able to aerially film one of the most amazing spots in the state: a retired 727 jetliner that now serves as a home in the Oregon woods! Description: 13 awesome friends decided to rent a GIANT house on the beach of Cape Kiwanda and go on a road trip to Oregon. We had amazing times, fantastic views and the best of vibes!